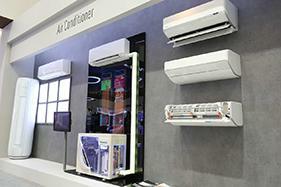 Shanghai, China - Panasonic Corporation of China Appliances Company showcased its advanced technologies and innovations in an over 1500 square meter booth at the Appliance & Electronics World Expo 2017 (AWE 2017) in Shanghai, China, March 9 to 11, 2017. 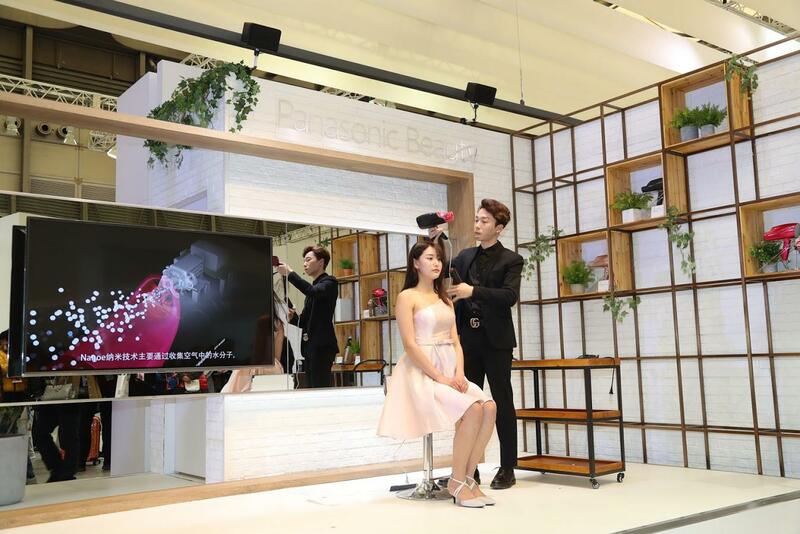 Panasonic introduced its aspirational products and an aspirational living space in an exhibition surrounding three concepts, "Healthy," "Relaxedly," and "Dignity," while visitors experienced an "Aspire to more" lifestyle that fulfilled their needs. 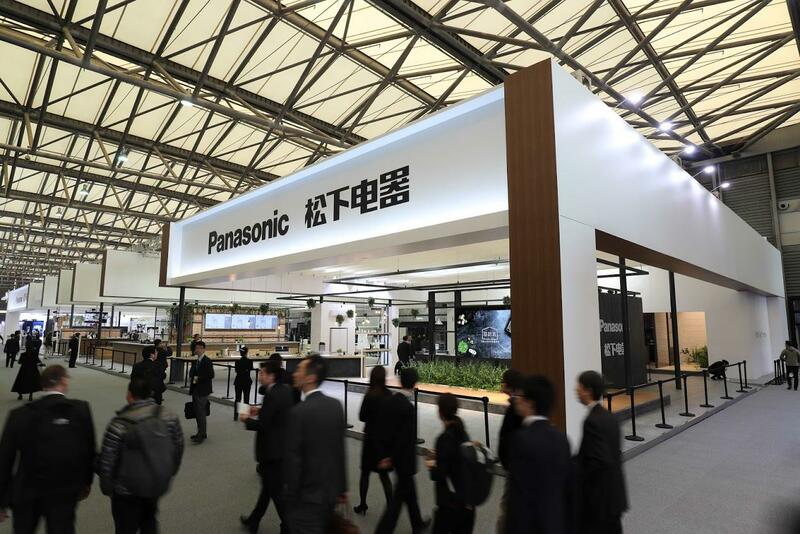 At the venue, Panasonic presented this aspirational lifestyle through high-end products, and visitors could experience each new product in a home-like environment. 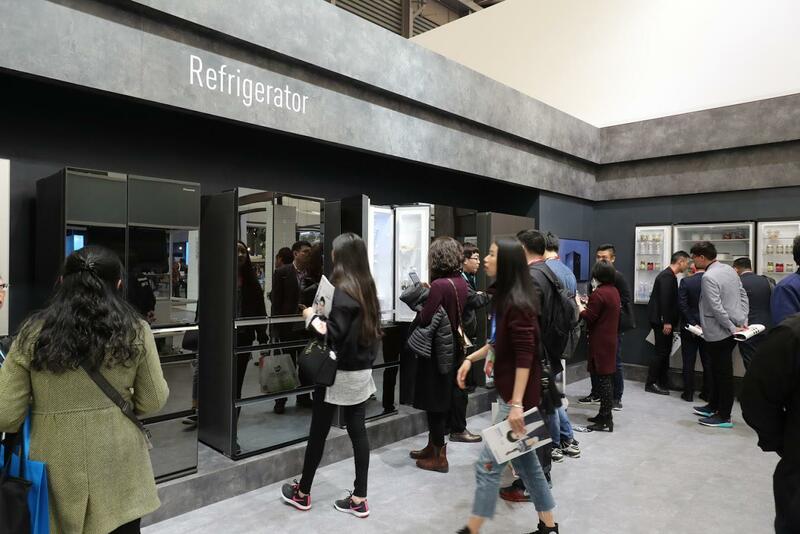 With its booth divided into Light Kitchen, Better Living Tomorrow, Living & Sanitary, Kitchen, SPA, and Imaging areas, Panasonic proposed a lifestyle and products that will supplement customers' future needs. During the press conference, Tetsuro Homma, Senior Managing Director of Panasonic Corporation, announced Panasonic's global strategy for the appliance industry as well as plans for foreign markets. In addition, Masanao Yamauchi, Managing Director of Panasonic Appliances Company of China, discussed appliance business strategies in China, and announced plans for the integrated operation of development, manufacturing and sales on the basis of creating an "Asipire to more" lifestyle. 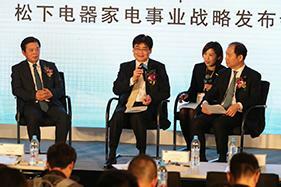 Afterwards, Liang Wu, Senior Managing Director of Panasonic Appliances Company of China, also joined to take questions from the media at the venue. 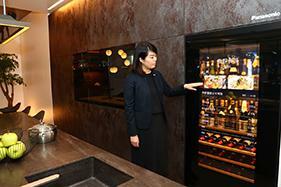 Panasonic aims to provide the premium lifestyle which everyone desires with increased luxury in its products. 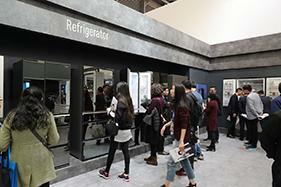 This year, Panasonic newly announced the "Light Kitchen" concept at AWE's booth. The Light Kitchen is a new type of lifestyle, which helps lighten domestic chores and gives you the time to spend with your family, as well as the environment to challenge yourself with new recipes together with friends or relatives. With the fusion of the dining room and kitchen, the Light Kitchen is a new communication space to enjoy a lifestyle with health, relaxation, and dignity. Better Living Tomorrow envisions life 3-5 years in the future. With the newest appliances connected to the cloud and internet, the kitchen is no longer just a place to prepare food but a place to enjoy food. With a new cooking area built into the dining table, a place to store wine with accurate temperature control, and a service and function to assist in your cooking, each new idea fulfills a variety of desires to bring about the lifestyle of your dreams. 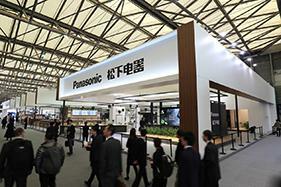 The Living & Sanitary area gathered Panasonic's technological innovations, and let visitors experience the healthy, safe, and comfortable living which Panasonic Quality provides. 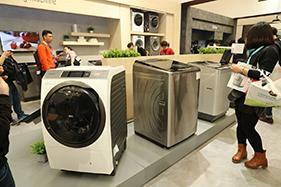 There, visitors experienced innovation through a line-up of Panasonic's latest products, including a non-frame multi-door refrigerator, a washing machine with built-in drying function, a high power wall-hanging air conditioner, and an electronic bidet toilet with the function to measure body fat, as well as home appliances with Nanoe technology. 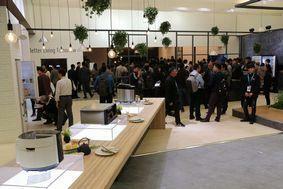 The Kitchen area, based on the themes of health, safety, and great taste, also gathered attention at AWE 2017. 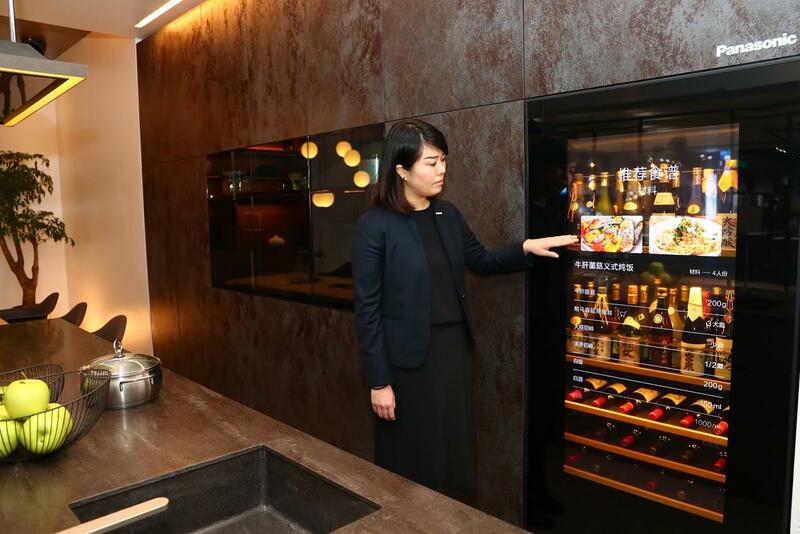 Panasonic presented premium lifestyles brought to life through home appliances with a selection of professional-level kitchen appliances, a relaxing café bar, and a European built-in kitchen to enjoy cooking. 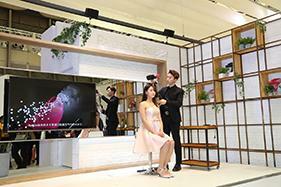 In the SPA area, professional aestheticians gave demonstrations of the various beauty and healthcare appliances on display so that Panasonic can continue to support busy but beautiful lifestyles. Lastly, in the Imaging area, visitors could enjoy 6K high speed burst shooting and the newest trend of miniaturizing imaging equipment. With its full line up of products close to the customers' wants and needs, Panasonic aims to provide homes and living solutions for a lifestyle that "Aspires to more."